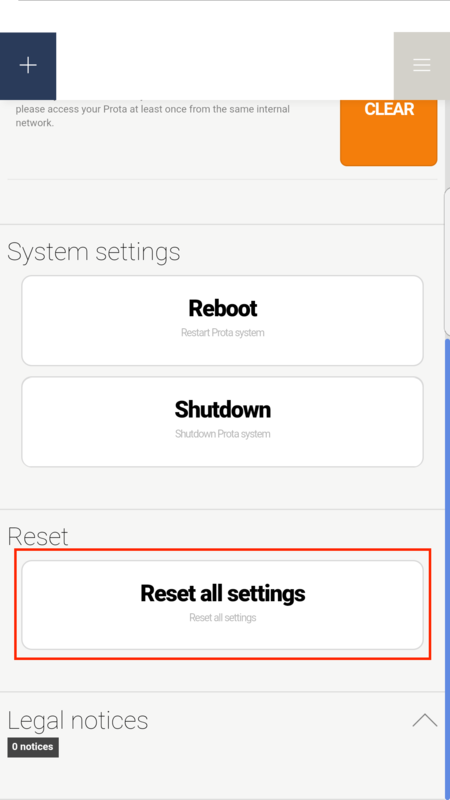 To reset a Prota Pi, go to Settings app and press on 'Reset all settings'. After resetting, Prota Pi will first reboot then enter into AP mode. You will then have to do the first time configuration again. The previous data (apps, stories...) will remain the same even after resetting and configuring your Prota again.